Rosie Whittaker – RGN, MN. Resus Nelson Ltd is a member of the Nelson Tasman Chamber of Commerce. 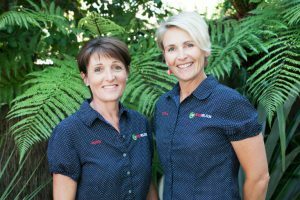 Together Natalie and Rosie have over 20 years experience in emergency nursing and have both taught CPR and resuscitation for over 10 years. They are both accredited by the New Zealand Resuscitation Council to provide basic life support training through to advanced cardiac life support CPR courses. Natalie and Rosie have a passion for teaching, developing in clinical and non-clinical teams and individuals, the capability and confidence to respond to emergency situations within their workplace and community. They custom design courses to provide scenario based training which targets the specific needs of their client’s teams. The driving force behind the business is knowing we can make a positive difference to the community. We are passionate about educating others through knowledge and skills to care for the acutely unwell person, aimed at optimising the outcome. We value teamwork and endeavour to provide a supportive, cohesive and nurturing environment where we can all thrive and develop to our full potential. We take pride in maintaining a high standard of professionalism whilst creating a fun learning environment that is a pleasure to be part of. Above all, we are committed to our customers and to the service we provide.